We all want to live in a home which is safe and in a good state of repair, with everything working in the way we believe it should. It makes for an easier life, free from worry and discomfort. 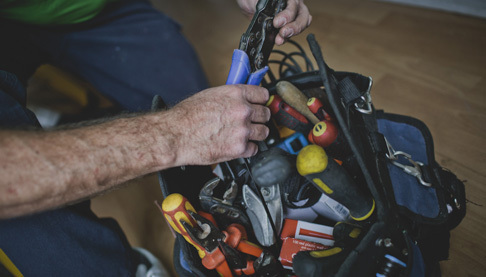 We provide a repairs and maintenance service for our properties, but there are a number of things you can do, as a tenant, to help keep your home functioning properly and reduce the times you need to call us out. For example, you are responsible for internal decoration, keeping your home clean and maintaining your garden, and you should take care of these things regularly to reduce the chance of problems escalating and becoming more difficult to deal with. deal with common problems such as condensation, mould and black spot. get the most out of your heating system. carry out the basic repairs you are responsible for. stay safe and take appropriate action in the event of an emergency. We also have an excellent set of Home energy advice leaflets (thanks to the Centre for Sustainable Energy) about how to make the most of your heating and lighting, understanding your energy bills and meters, using pre-payment meters and Economy 7 heating. The information is really easy to read and you’ll find all the leaflets – plus our Health and safety handbook for tenants in our ‘Library‘. Just visit the section you’d like to know more about.